This Kichler City Loft 1 light medium ceiling pendant in polished nickel with etched opal white glass boast contemporary style and geometric form. Featuring a circular ceiling mount, height adjustable rod suspension and square frame, with circular white glass shade sitting in the centre. Supplied with two 15cm and two 30cm rods that must be used in pairs to achieve the perfect drop; please see the technical information below for minimum and maximum heights. Perfect for use over a dining room table, kitchen island and other contemporary or industrial living spaces installed singly or in a cluster. 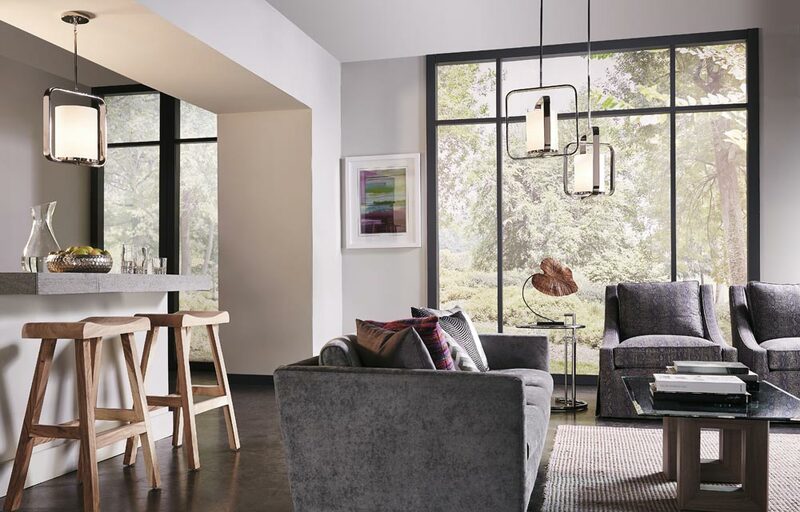 There is a matching large pendant and single wall light available; please see below for the complete range. This industrial light is supplied by Elstead Lighting and designed in the USA by Kichler who were founded in 1938. 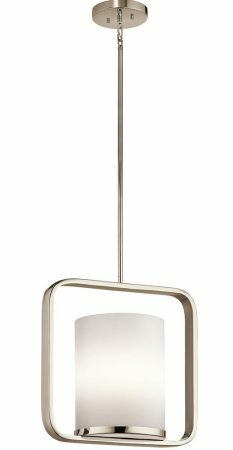 They design beautiful home lighting products featuring award-winning craftsmanship and unparalleled quality, such as the City Loft 1 light medium ceiling pendant in polished nickel with etched opal white glass you see here.